Why has a tiny old mining town straight out of Gunsmoke or Deadwood - Crestone, Colorado - become home to twenty-five spiritual centers representing nearly all the brand-name faiths of the world? And what does this improbable fact mean? 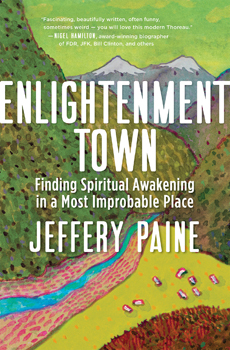 With the keen eye of a storyteller, the insights of a scholar, and the heart of a seeker, Jeffrey Paine narrates a truly unique adventure. He explores Crestone's wintry, oxygen-thin mountain geography; introduces a cast of lovably eccentric characters; and illuminates, through the multiple side-by-side religions, what underlies all faiths. In a world marked by fanaticism and fundamentalism, Paine finds in Crestone a remarkable dedication to coexistence, an intolerance for intolerance. Paradoxically, the town's amazing spiritual diversity highlights fundamental commonalities in a way that will strike and even inspire believers, agnostics, and searchers of every stripe.